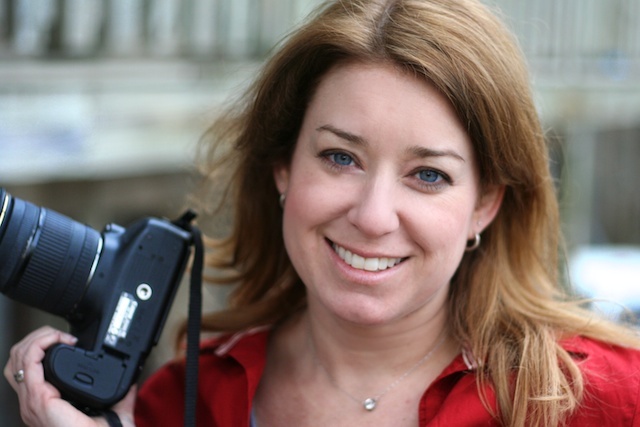 This weeks fellow travel video blogger interview is with the talented Lisa Lubin. I first met Lisa when she spoke about video at the TBEX travel bloggers conference and have since met up with here again here in Halifax and more recently in London when she spoke again about video at the World Travel Market. Basically Lisa knows everything you need to know about making travel videos as you will see from the interview below. I recently wrote a review about here Video 101 Ebook which you can check out here. 1. Can you tell us a bit about yourself and your website and what got you motivated to start traveling? 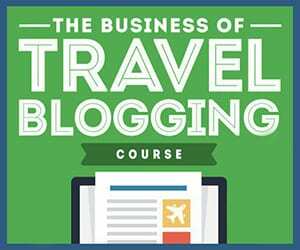 How did you get the travel bug? I am a three-time Emmy® Award winning television writer/producer/photographer/traveler. After more than a decade in broadcast television I decided to chuck it all and take a sabbatical of sorts which turned into nearly 3 years traveling and working my way around the world. I have been documenting my (mis)adventures on my blog, LLworldtour.com, for the last five years with photographs and articles from the road/train/rickshaw/camel. I recently launched LLmedia, a video consulting business. I’ve always loved exploring new places and traveling. I used my vacation time each year to go as far as I could. I was lucky enough to produce some travel programs for ABC while I worked there, but it still wasn’t enough! 2. Why did you decide to incorporate video into your website and blog? As a full time TV producer and broadcast journalist, I actually did not incorporate much video into my blog for most of my trip. The reason being: it was my ‘day job’ and I wanted a break from it! I knew that if I started shooting videos, I’d put my producer ‘hat’ back on and my trip would feel like my job and I simply did not want that. I knew I would start ‘producing’ my trip and every place would be a possible story or a possibly interview and I just wanted to enjoy it as an anonymous traveler. Even my blog was just there for fun (for the first couple years). I made a promise to not pressure myself to ‘have to’ post. I didn’t want it to feel like work. I wanted it to be a pleasure. Today it actually has become my job, something I did not expect, but am thankful for. 3. Aside from yourself, do you have any favourite people that make travel videos? Anyone that has inspired you or whom you just enjoy good content from? I still gravitate toward professional programs and have always really enjoyed Anthony Bourdain’s: No Reservations. Obviously because its about my two loves: travel and food. But I also think it’s very well produced. I like the raw honesty of how it’s written by him and his producers. I even contacted his production company several years ago looking for freelance work. Online, I have enjoyed The Hostel Life as they, too, have a TV production backgroud. Oh, and I always loved the “Where is Matt” videos. I still get tingly watching them – so simply and yet so moving. 4. What has been your favourite travel video/project that you have made to date? Oh wow. In my career as a TV producer, I was fortunate to win a few Emmys for producing. I am most proud of a show I produced on Gangs in Chicago. The most fun were our travel shows – especially in Aspen, Colorado, Montreal, and Cabo San Lucas, Mexico. You can see my producer reel here. My favorite videos from my blog and current travels is a montage of my travels set to music. It’s actually mostly still shots, but still very inspirational and moving. The other is a segment I did from the Navimag Boat in Patagonia, Chile. 5. Did you have any previous filmmaking experience? Yep…that’s all I did! I worked in television since I was an intern at “Late Night with David Letterman” in NYC. After I graduated with a broadcast journalism degree from university, I worked at a local NBC affiliate as a studio camera person, floor director, and tapes operator. I eventually worked my way up to director and technical director (TD). I directed and switched live primetime newscasts for about three years. It was exciting and challenging, but eventually I grew bored (as I often do!) and was ready to do more. I moved on and became a promotions writer and producer, writing and editing commercials for FOX shows like the Simpsons and King of the Hill. Not too bad when you get to go to work each day and watch clips of the Simpsons! Then I moved on again, but to a job I loved and would keep for nearly 10 years! I was a producer, writer, editor for ABC in Chicago. I mainly produced a weekly magazine show covering all the fun stuff in and around Chicago: restaurants, travel, celebrities, music, fitness, shopping, etc. It was a great job and I was nominated for 10+ Emmys while there, winning three. I also taught TV production for six years at a college in Chicago. 6. Do you have any tips for other people who are wanting to start making travel videos? If you have little to no experience or don’t have a TV/Film background, I suggest you read my Video eBook. It’s a great primer for those staring out in video today giving you lots of tips on telling a good story, writing, shooting, and editing video. 7. What equipment do you use? Camera? Editing program? Type of computer? When working professionally we shoot on Sony or Panasonic HD Cams. When shooting for myself I currently shoot on a Canon 60D DSLR. I edit on my MacBook Pro with Final Cut Express. 9. How do you go about promoting your videos? Do you have any suggestions for other people to promote theirs? For work…a whole promotions department is in charge of that! For my web stuff, I just use social media, my own blog and others’. 10. How long do you suggest a video should be 2min? 10min? A good length to keep people watching but not bore them? Just like a good news package on TV…a web story should be 1-3 minutes. For the web, I would say shorter is better, but it depends how well done and compelling the story is. 11. How much advanced planning do you put into your videos? When I produce a program, a lot of planning and research goes into it. I first spend time brainstorming and researching story ideas. What’s new? What’s exciting? Interesting? Visual? Then it takes time to coordinate all the stories – setting up interview dates/times, securing a crew, organizing the shoot schedule. This is again why I didn’t shoot so many travel videos, because if I was going to do it, I’d want to do it right and you can see that would have taken up a lot of my time. 12. Music is often a difficult thing to find for videos, do you have any sites that you recommend for people to get free music from? I was spoiled because we had music libraries at work or we could use popular music and we just paid for it. Since I don’t have this budget anymore, I look for royalty free music with the creative commons license. 13. Will you ever stop traveling? No! I did stop traveling full-time about two years ago when I unpacked my bag finally after 4 years! But now I am happy to have a home base, but go off traveling for about a month each time. I feel so lucky that I still get to travel and see the world and meet its people! 14. You just recently wrote an ebook on Video 101 – has it been helping a lot of people? When will you release the next one? Thanks for the mention! My book just came out this past summer. I’ve gotten great feedback on it as a thorough foundation for the beginner shooter/editor or a good refresher. Even for me, it’s a good refresher to read through and remember the important parts of visual storytelling. This one will be updated at some point next year with updates and more interviews from industry folks. I loved reading your bio and the video is included paints the picture of an exciting, curious, engaging woman who is in love with life! Congratulations on your bold leap into long term international travel and good luck with your new business! I learned so much just from this interview. You definitely deserve all the success that you’ve achieved. Keep up the good work and continue entertaining people!